Look, we’re all about burgers, barbecue, and bacon, but even meat fanatics need to take a break from punishing their colons now and then. Besides, it’s not surprising that San Francisco -- blessed with countless farmers markets and a serious farm-to-table obsession -- can boast some of the best veg-centric restaurants in the country. Maybe you’re looking for a place to take that hot-but-vegan Tinder date (though be warned about going down that particular path), or you just want some greens after a fried chicken lunch. 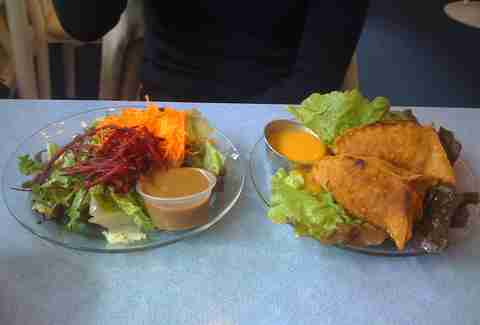 Whatever the reason, we can direct you to the best vegetarian-friendly eateries in the Bay. 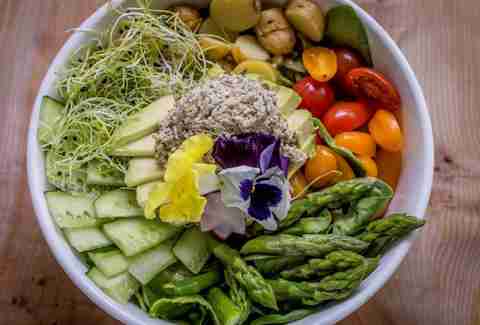 A Bay Area standby for vegetarians who don’t want to sacrifice flavor in the name of vegetables, Greens has been serving inventive farm-to-table fare for 37 years. This veggie palace has gotten the seal of approval from Michael Bauer, Zagat, and James Beard -- and we’re not talking just in the vegetarian category. Greens has been named one of the city’s best restaurants, against even the carnivorous competition. 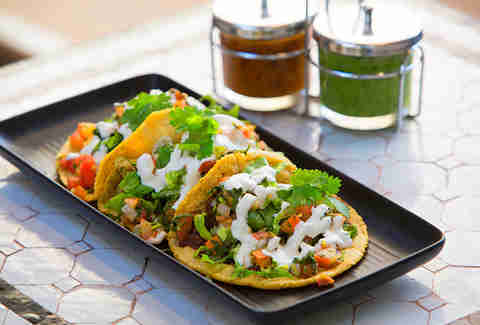 If you’re jealous of your friends chowing down on their Mission super burritos, Gracias Madre is here to satisfy your Mexi-cravings with vegan takes on tacos, enchiladas, tamales -- even ceviche. If your group includes some omnivores, don’t worry -- the options are extensive and totally satisfying. After all, guacamole is vegan, and that’s the most important ingredient anyway, right? If you want flashy vegan provisions that hail from an industry vet (Deborah Blum boasts a resumé that includes Beretta, Starbelly, Delarosa, and Lolinda), then Citizen Fox is your new haunt for meatless brunch and dinner fare. The brick-and-mortar is still on its way, but you can feast on "chick’n" and waffles, or the signature burger, at its pop-up in the Mission. Oh yeah, and don’t forget to make your way through the extensive cocktail list -- booze is (typically) vegetarian, after all. 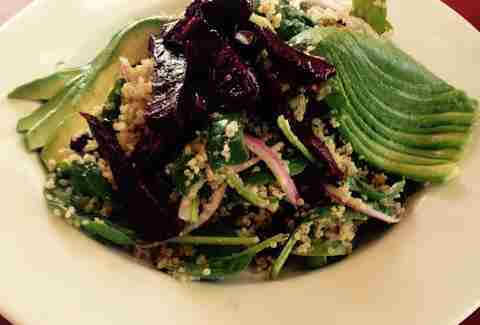 Herbivore is one of those standby spots for the meat-free. Dig into an eclectic mix of vegan dishes from all over the globe: from spaghetti and lasagna, to pad thai, chow mein, buffalo bites, meatloaf, and Indian wraps. Sure, it’s all over the place, but it’s perfect when you’re totally hungry and can’t decide what you want to order. OK, maybe we’re crazy, but we’re big fans of the fish-free sushi that’s being cooked up (or not) in the Mission. We were skeptical of a vegan sushi spot (come on, how many avocado rolls can one person eat? 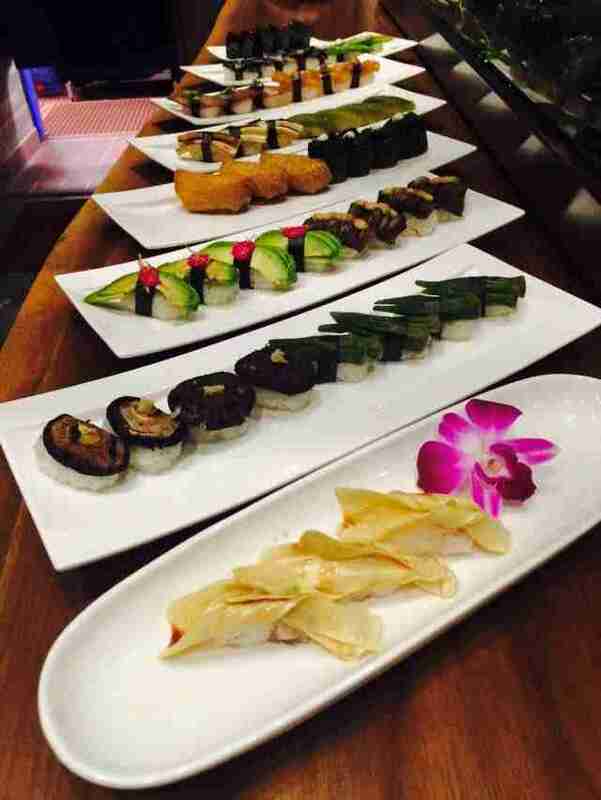 ), but Shizen's innovative veggie rolls, nigiri, and ramen are nothing short of delicious. Tofuna never tasted so good. 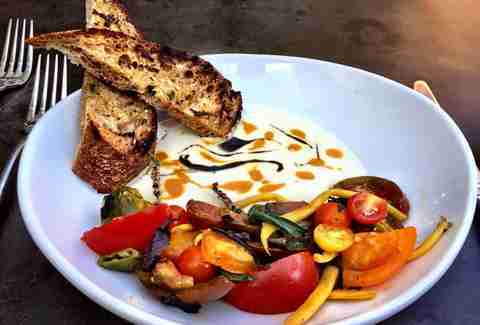 This mid-Market vegetarian spot is a cult-classic... literally. The restaurant is a "divine enterprise" of Sri Chinmoy, an Indian spiritual leader, so you’ll find plenty of enlightened reading material, photos, and followers of the master. Expect seriously spiritual vibes along with totally delicious dishes. The "neatloaf" is a fan favorite -- a vegetarian meatloaf made with grains, eggs, ricotta cheese, tofu, and spices that can be made vegan on request. Indian restaurants are almost always very vegetarian-friendly, and although we do love a good lamb curry, the beans, vegetables, and spices at Udupi make up for it. This place is far and away the Bay Area’s best vegetarian Indian spot: you’ll be stuffed after those giant dosas, bright curries, and pillowy uthappam (picture a thick, pancake-version of dosa). And the best part: after all that, you’ll still walk away with a full wallet. For vegans who want all the pomp and circumstance of fine dining, Millennium is your go-to for organic, sustainable, and local plant-based fare. 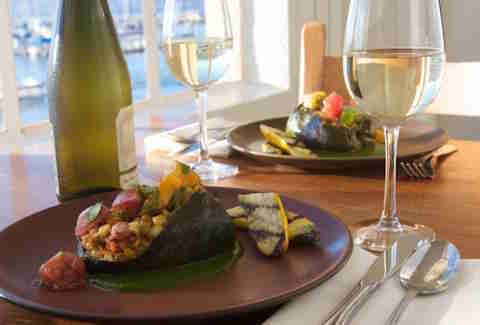 It’s the only fully vegan fine-dining establishment in the Bay, having moved from its spot in SF to Oakland last year. Sip on inventive house-made cocktails as you nosh on dishes that stand strong without the help of meat substitutes. You may be looking at this and wondering how a place that serves a "Doomsday" sandwich with bacon, ham, pastrami, roast beef, salami, turkey, mozzarella sticks, and stuffed jalapeño poppers could possibly be considered vegetarian. But hear us out. 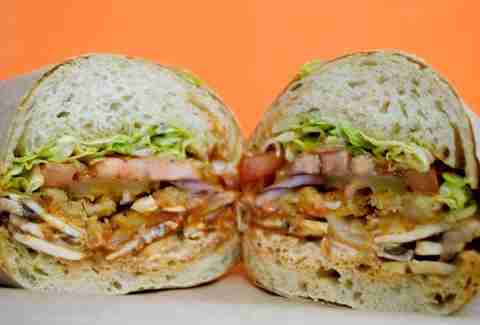 The over-the-top sandwich shop has a whole, separate menu of not-so-healthy vegan options. They’ve got vegan turkey, vegan breaded chicken, and vegan cheese, so if you’re vegan, you can go ahead and clog your arteries alongside your meat-loving friends. Try the "Vegan Pilgrim" with vegan cheese, vegan turkey, cranberry sauce, and Sriracha for a little taste of Thanksgiving. For light fare that still satisfies in the San Francisco rain, head to Cha-Ya for luscious bowls of soba salads, tempura vegetables, and udon, which can fulfill your craving for rich bowls of ramen without weighing you down. A crowd favorite is the gyoza with tofu, veggies, and noodles, swimming in a light broth. It’s Sunday morning and you wake up with a healthy appetite and a craving for hearty soul food... but your brunch buddy is vegan. Head to Souley Vegan, where you can get satisfying southern dishes, all sans meat. 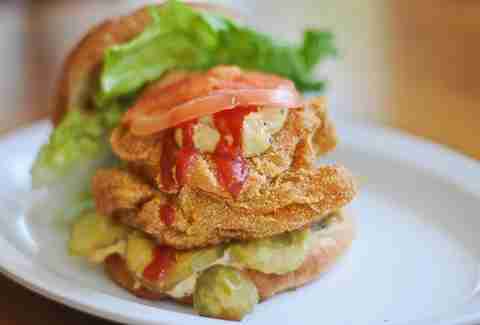 Think fried okra, collard greens, veggie burgers, grits topped with fried tofu and okra gumbo, and seitan steak. These flavorful dishes are lacking in meat, but not in flavor. 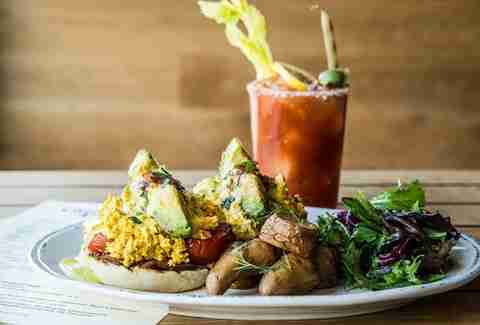 Bonus: Sunday brunch offers bottomless mimosas for $12. 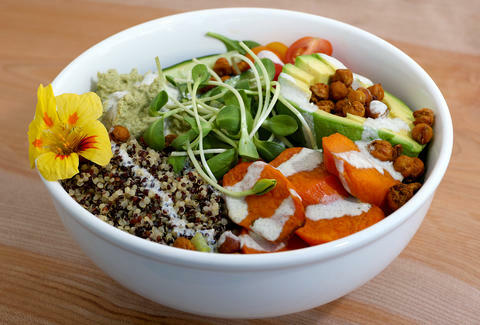 After a particularly debaucherous night of beer, bacon, and burgers, get your detox on at Nourish Cafe, a plant-based, organic eatery offering salads, juices, toasts, smoothies, and açaí bowls that utilize whole, natural foods. Get in touch with your inner bunny rabbit while munching on vegetable-and-fruit-centric dishes that’ll leave you feeling great. You may hear the term "vegan and gluten-free" and run for the hills, but hold up: Seed + Salt may be health conscious, but it doesn’t sacrifice flavor. Sure, it's a bit annoyingly trendy, but it also makes delicious, healthy fare that will make you feel virtuous. 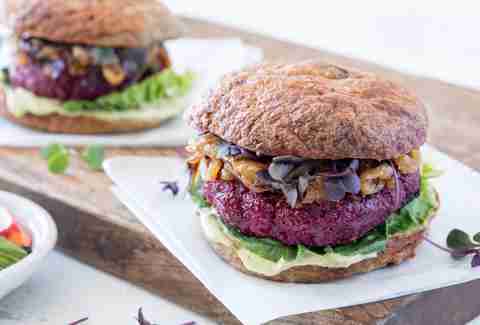 Chow down on that beet burger on a gluten-free bun now -- you’ll deserve that steak dinner later (it’s all about balance, people). While the first time most of us heard of the “macrobiotic diet” was when Gwyneth Paltrow was championing yet another fad, this Taoist diet has actually been around for hundreds of years. 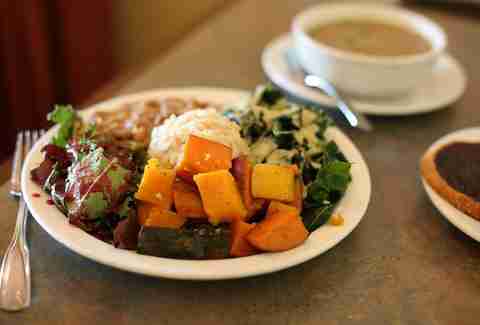 Enter Shangri-La, a vegan, organic, and macrobiotic restaurant in Oakland serving no-frills lentils, squash, brown rice, and tofu-centric dishes in a quaint, cozy setting. Thanks, Gwen. 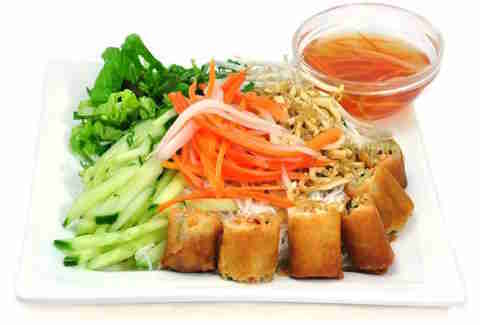 For those craving spring rolls and fried egg(less) rolls, platefuls of noodles, bowls of soups, and claypots filled with veggies and curries, Golden Era is your vegan Asian paradise. 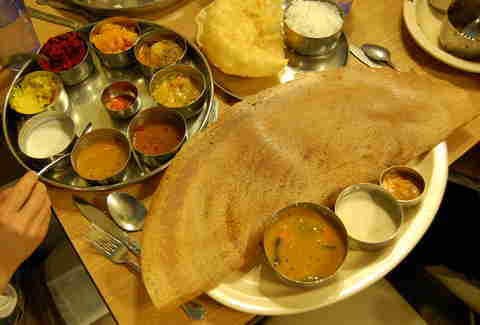 Its menu is comprised of Aulacese, Chinese, Indian, and Thai cuisines. The veggies are bountiful here, but people are really blown away by the meat substitutes, which we hear are close to the real thing. We may or may not agree, but deep fry pretty much anything and we’re down to try it. Eloise Porter is a Thrillist contributor who loves a good steak but always has room for salad. Just don’t take away her cheese. You can follow her on Twitter @eloisepporter.